The diamond-cut, geometrically inspired arms extend outward, accenting the chiselled all-metal stand. Good form, better function. Ergonomically designed for tilt, swivel and height adjustment. 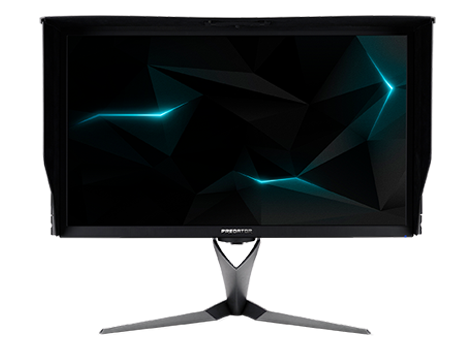 The 27" visual goliath packs a fierce 4K punch, leaving you with a perfect screen size for plenty of game-time fun. How do 384 individually controllable LED backlight zones sound? If you happen to prefer the most realistic image possible, then this is for you. 5 35% colour coverage comparison relates to 99% Adobe RGB vs. standard sRGB.